One of the many problems with space travel is how we measure speed. Speed is relative – as this very good Ted video shows. One of the problems facing human space travel isn’t travelling fast, it’s getting to that speed. The g-force excreted on the body whilst accelerating poses major health issues. So even thought we may be able to invent ways of travelling faster, unless we can control the g-force, its pointless going faster, as if we get to a fast speed too quick (accelerate too fast) the people travelling at that speed will die. If you are driving a fast car and you very quickly put it into a lower gear and put the accelerator to the floor, you feel yourself fly into the back of your seat. If you are travelling at 60mph your body feels fine, as it does at 0mph, however in the few seconds it takes to get you there, you are subject to huge g-force’s. Travelling from 0-60mph in 30 seconds puts the body under a lot less stress than if you do it in 3 seconds. It’s the same with space travel, the body can cope with moving reasonably quickly, however it cannot cope with getting there too fast. 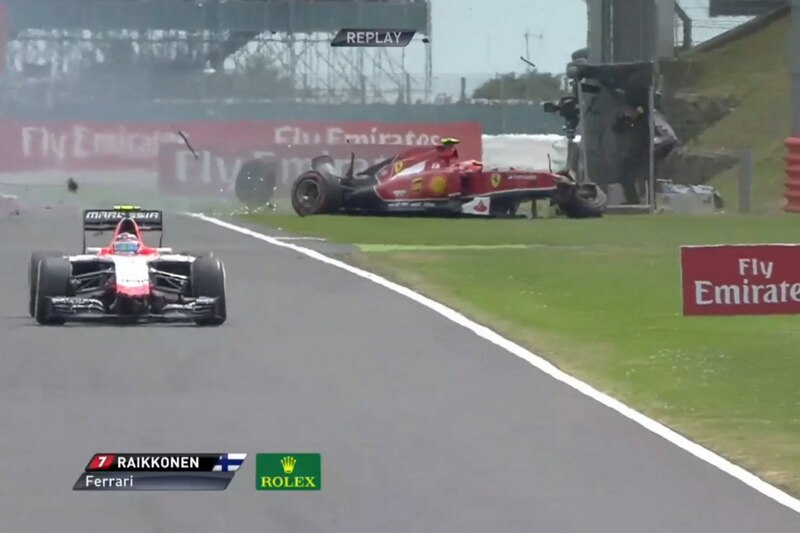 Those who enjoy F1 may remember Kimi Raikkonen’s horrific 150mph crash at Silverstone this year. For a matter of seconds the Fin had 47 Gs of force excreted upon him. For an F1 driver, 150mph is not an unusual speed, however spinning at that speed and coming to a sudden stop caused the dramatic force that Raikkonen endured. Had Raikkonen been spinning with 47 Gs of force for over a minute, the likelihood is he would have died, however because it was only for a short period of time, he was able to race again two weeks later, having sustained no lasting injuries. Unlike us, robots can be built to sustain such forces, which is one of the reasons why missions like Rosetta and Voyager can see probes sent huge distances in (relatively) small periods of time. Lets hope in the near future someone discovers a way to keep g-forces at bay, to enable us to travel further into space, faster! It is a real dissapointment given the distances that we need to cover to get to the nearest potentially habitable planet. If it is the acceleration that is the issue then it would be interesting to calculate the time that it would take to get to the speed of light given the limitations of the human body. We really need to get teleportation working. Teleportation would be good, but surely the information needed to reconstruct you would only be able to travel at the speed of light, so it would still take a long time to get around in space. I take your point though, it would help to speed things up! Here are a few estimates of how long it would take to get to (almost) the speed of light – link 1, link 2. The general consensus is a few months, but then remember to slow down again you would need to slow down no faster than you accelerated, or else the g-force would kill you then instead! It would only take a few minutes to get to Mars at the speed of light, but as it takes several months to get close to this speed, it’s a bit pointless. Given that the nearest potentially habitable planet is around 12 light years away then you are looking at around 13 years to get there if you assume 6 months to get up to speed and 6 months to slow down again. I think that someone needs to invent the warp drive.